JAMBO! Upon arrival at Kilimanjaro airport you will be met by Classic Safaris Representative who will assist with the transfer to Onsea House for check in and briefing. 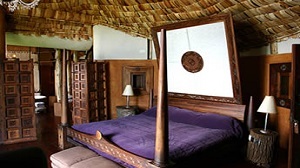 Your accommodation Onsea House is a privately owned, privately run luxury bed & breakfast in Arusha, Tanzania and is the perfect safari base or place to stay for those looking to climb Kilimanjaro. 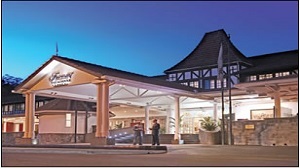 The level of comfort and quality of service has turned it more into a small boutique hotel than a guesthouse. � This morning you will be transferred to the airstrip where you will fly to Manyara, upon arrival you will be met and get transferred to Ngorongoro Crator Lodge where you will enjoy game viewing at the crator. The next day you will get a chance to enjoy a whole day game viewing drive at the crator with picnic lunch boxes. 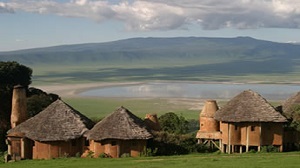 Ngorongoro Crater is the largest unbroken caldera in the world. The cone is believed to have collapsed nearly two million years ago, and while the cone was standing, it could have been as tall, if not taller, than Mt. Kilimanjaro. The crater (1,800 feet deep and 102 square miles) is a microcosm of East African scenery with abundant wildlife – more than 25,000 larger animals, mostly zebra and wildebeest. This is also the best place in Tanzania to see magnificent black-maned lion and black rhino. A soda lake changes size depending on the rains that are the lifeline of this amazing land. Colorful flamingoes and more than 100 species of birds found here and not in the Serengeti, frequent the area. Patience may also reward you with glimpses of leopard, cheetah, hyena, jackal, elephant, warthog, buffalo, impala, buffalo, hartebeest, eland and lots of other antelopes. As you descend into the crater, you may see the local Maasai as they take their cattle down the steep walls of the crater. You will be collected at Ngorongoro Crater Lodge and driven with fellow guests to Manyara Airstrip. (approx. 1 and a half hour road transfer) for your Air Excel flight from Manyara departing at 0900hrs to Sasakwa Airstrip in the Northern part of the Serengeti. You will spend the next 3 nights at Singita Faru Faru where your stay is in a luxurious safari tent, on an all-inclusive basis. Serengeti National Park (3,646,500 acres) is the jewel in the crown of Tanzania’s protected areas with over three million large mammals roaming its plains. The Serengeti has come to symbolize paradise to all, including the local Maasai, who have grazed their cattle on the vast grassy plains for generations. To the Maasai, it is Siringitu – “the place where the land goes on forever.” Today, the Serengeti National Park, the Ngorongoro Conservation Area, and the Maasai Mara Game Reserve across the border in Kenya,protect the greatest and most variedcollection of terrestrial wildlife on earth,and one of the last great migratory systems still intact. The Singita Faru Faru Lodge is situated on a slope alongside the riverbank in the Grumeti Reserves .The exclusive, luxury accommodation on offer at Faru Faru Lodge is surrounded by a variety of animal species and birdlife.Two rim-flow swimming pools and a large viewing deck overlook the watering hole where the animals come to visit while a Swahili-inspired beach offers the ideal place for some serious rest and relaxation. You will have breakfast this morning. After this last taste of Africa, you will be transferred to the airstrip for your flight departing at 1005hrs to Kilimanjaro airport arriving at 1145hrs. Connect with the International flight back home. International flight/s and departure taxes and other taxes.